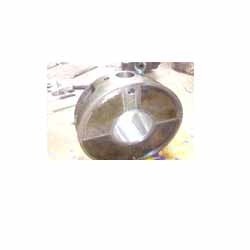 We are a leading Manufacturer of white metal engine bearing, crack repair turbocharger, cylinder liner, diesel engine bearing, babbitt bearing repair and steam turbine bearing from Gurgaon, India. White metal engine bearings are manufactured by us. The quality assurance plan includes ultrasonic bond certification, Magnetic particle testing report and dimensional inspection report. On demand we can also arrange third party inspection of Babbitt bearings. 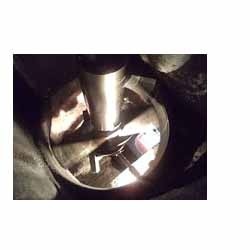 Our experienced team has been helping customers by repairing crack in turbo charger casing which in most of cases is of cast iron. We initially undertake crack detection test by MPI or ultrasound to find out the exact location, extent and length of the crack. The cracks are repair by metal locking and metal stitching process.We also use special chemicals in order to ensure that there is no leakage. We also supply reconditioned turbo chargers of ABB and almost all makes and models with guarantee. 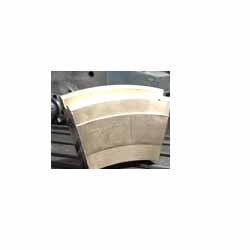 We are the leading manufacturer and exporter of quality cylinder liner. Cylinder liners are available in stock with outstanding performance. We manufacture cylinder liners for popular engine makes like Wartsila, Skoda, SKL, Mirrless Blackstone, Ruston, Allen, Caterpillar, Nohab Polar, etc. All cylinder liners are manufactured by centrifugal process and machined in a workshop equipped with DRDO system. We have been constantly involved in manufacturing and supplying of high quality diesel engine bearing across the world. 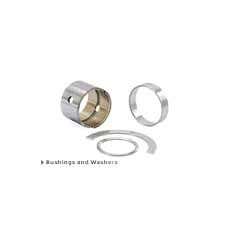 Diesel engine bearing are available in stock at competitive prices. We can supply undersize and oversize bearings required after repair of crankshaft and main journal housing of the crankcase. Leading manufacturer and exporter of steam turbine bearing, diesel engine bearing, white metal bearings, journal bearing, Pedestal bearing and Thrust Bearings. 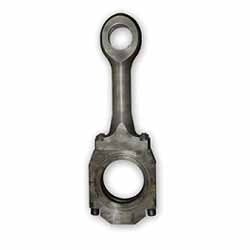 specifications- We also supply reconditioned connecting rods of all make of engines like Wartsila, Caterpillar, Mirrlees Blackstone, Daihatsu, and all make of engines. Connecting rods are supply after MPI for crack detection and calibration. 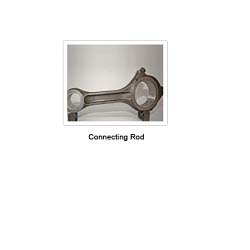 We maintain large stock of connecting rods for following engines. 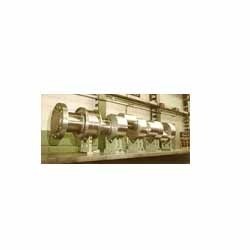 We have been into the process of onsite crank shaft grinding over three decades. 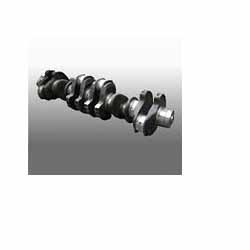 It saves down time, cost and knock out the risk factors involved in shipping and handling of Crankshaft. 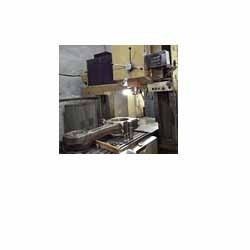 We have modern crankshaft grinding machines which create minimum vibration. Thus maintaining close tolerance. 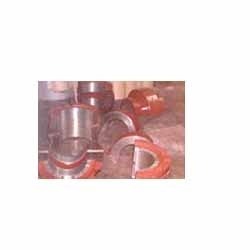 The onsite crankshaft grinding is undertaken by our experienced technicians. We offer portable crankshaft grinder machine that can easily be carried out on many places without any hassle. These machines are very easy to use and are also tested on various important parameters. We manufacture crankshaft grinding machine for grinding and polishing of crankshaft. 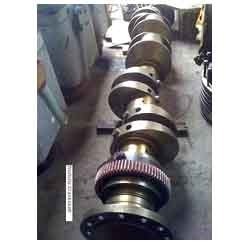 We offer high capacity diesel engine spare parts of marine engine that includes crankshaft, piston, connecting rod, bearings, etc. 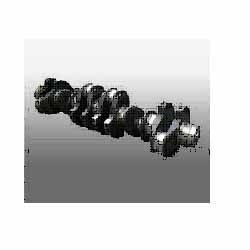 We have crankshaft of marine engine available in stock at best price. These crankshafts are removed from the engines which are received in ship breaking yard. 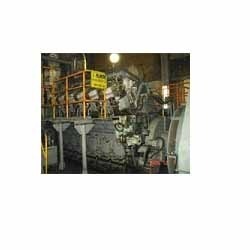 We also remove the crankshaft from the engines which are in operation in industry. 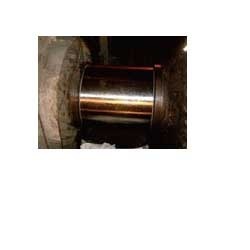 The crankshafts are inspected at our works for cracks, dimensions and alignment, etc. We Supply High Capacity Diesel Engine Spares And Also Repairs The Marine Engine Parts Like Crankshaft, Engine Block, Cylinder Heads, Bearings Etc. We Have Been In Engine Repairs And Maintenance From Over Three Decades. We Offer Engine Repair, Maintenance And Overhaul Services With A Guarantee. We Have Successfully Repaired Marine Engine To Companies Based Qatar, Dubai, Maldives, Sri Lanka Etc. We Have Team Of Trained Engineers And Technicians Who Can Be Deputed At Site To Undertake For Preventive Maintenance And Overhauling Of The Diesel Generating Sets Respective Of Their Make And Models. We Are The Leading Manufacturer Of Marine Engine Parts And Supply Them All Over The World. The Parts Are As Per The Oem Specifications. 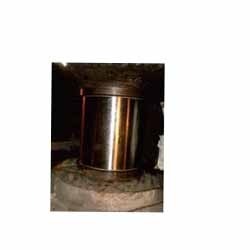 We Have In House Facilities To Undertake Inspection Which Covers Magnetic Particle Test, Die Penetrate Test, Hardness Check, Dimensional Inspection Etc. 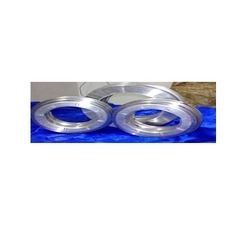 We Offer Exclusive Range Of Turbine Bearing To Our Valuable Clients. 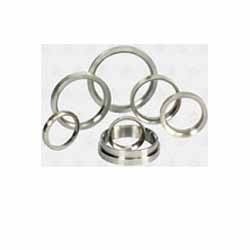 These Turbine Bearing Are New Or Reconditioned By The Bearings Manufacturers And Are Supplied With Guarantee. We undertake crankshaft repair and crankshaft grinding onsite without removing the crankshafts from the diesel engine. 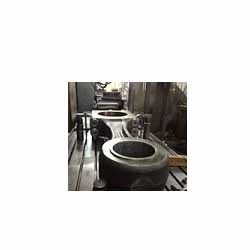 This process of onsite crankshaft grinding is getting popular as sending a crankshaft to workshop is outdated. We undertake connecting rod resizing and reconditioning by using latest equipments. 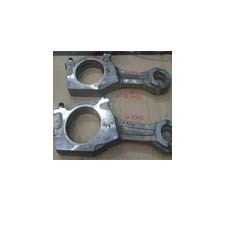 Our engineers can easily resize the connecting rods as per the required specification with accuracy. Incase required connecting rods are send to our works for repair. 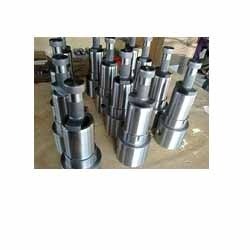 Connecting rods of engines, compressor, pump, forging, hammers and all equipments are reconditioned with guarantee. We follow international norms to repair connecting rod and it involves a complete procedure that consists of several steps. 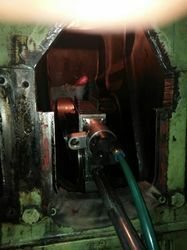 Repair of Connecting Rod executed and is approved by Lloyds, Det Norske Veritas, Indian Register of Shipping. 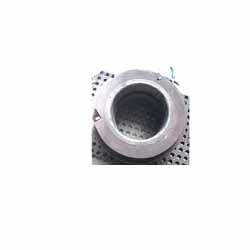 We stand guarantee for the satisfactory performance of connecting rod. We Have Been Working On Ckd Skoda Diesel Generating Set And Offer Onsite Repair Of Crankshaft, Engine Block, Cylinder Heads Etc. We Have In Stock Complete Range Of Spare Parts For 860, 1450, 2270 Kva Ckd Skoda Diesel Generating Sets.